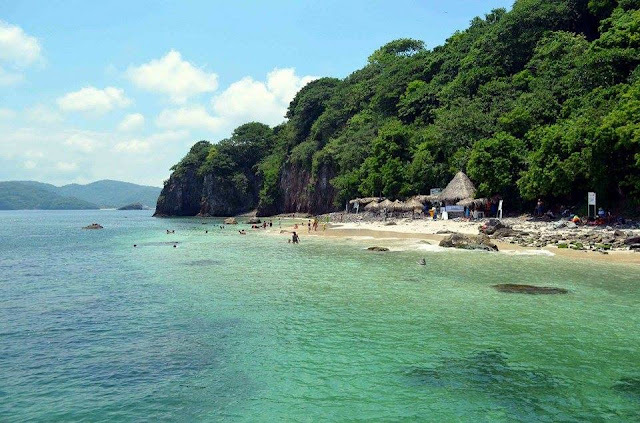 Tourism service providers involved in this natural attraction in Rincón de Guayabitos received training; this Saturday, the Beach Cleanup Network hits the beaches in the Riviera Nayarit. Isla del Coral has become a tourism icon of Rincón de Guayabitos and it has piqued the interest of those who visit this microdestination of the Riviera Nayarit. Because of this, training workshops were held during the first week of December for those who offer tourism services in this area. The workshops took place on the initiative of the Rincón de Guayabitos Tourism Services Coop, together with the Compostela Hotel and Motel Association (AHMC), the Guayabitos Convention and Visitors Bureau (CVB) and its counterpart in the Riviera Nayarit. The 140 tourism service providers who participated in the workshop received training in product sales; service; quality; identifying the market, the client and the competition; market needs and new generations, including millennials and new technologies, as well product promotion. The free workshops were offered by Nafinsa and sponsored by the Secretariat of Economy. The restoration that has been taken place on the island since the start of the coral rescue project—initiated by the co-op and sponsored by the Conanp—has been a success. A no-motor-boat zone, a pier and other directives have also been implemented per best tourism practices. The last Beach Cleanup Network activity will take place on Saturday, December 12th, coordinated by the Riviera Nayarit CVB and, as always, fully supported by our citizens, civil associations, private businesses and hotels. This is the 19th such cleanup.